2014 was an amazing year for me! The biggest highlight of this year was attending PASS #Summit14. …I will tell you why and share some pics to show you that PASS is a great event to be part of. I was looking for way to give my eyes a rest from the white-bright background color I stare all day when working on SSMS, and in searching I have found this treat from SSMS. I thought your eyes would appreciate the break too. 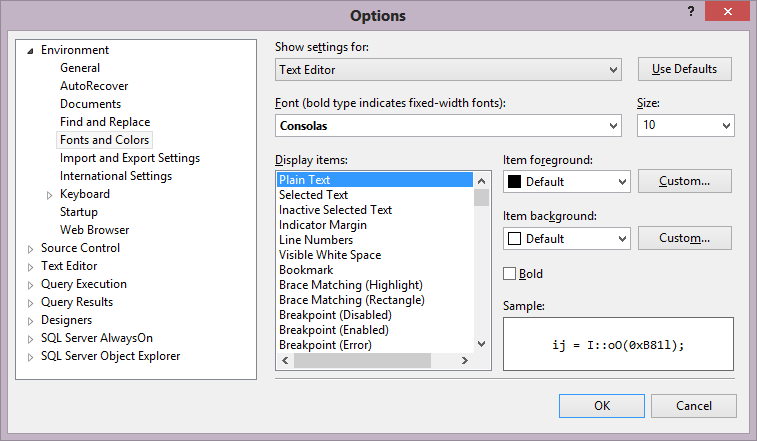 Just for clarification, the query window is actually called Text Editor in SSMS. 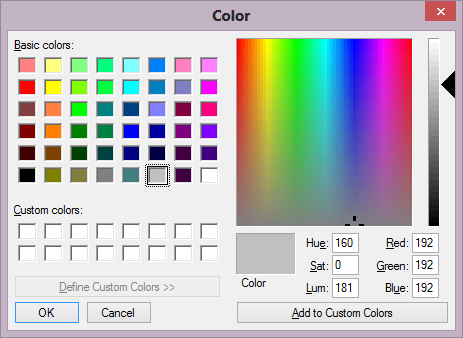 Then scan over “Item background” and from the drop-down menu select your color. 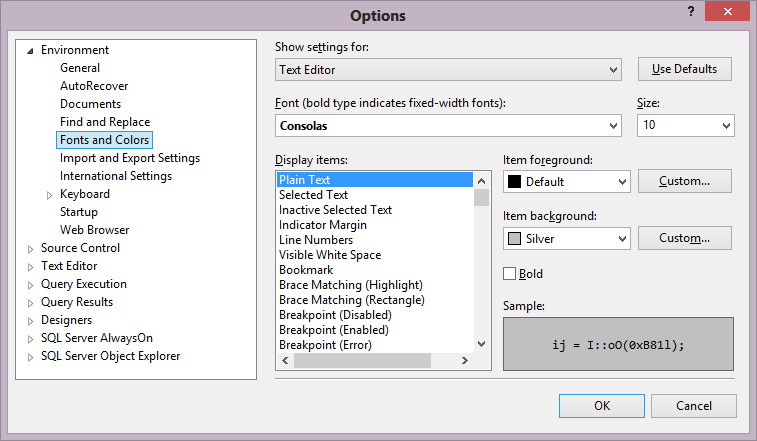 I have chosen for now “Silver” to give my eyes a rest, but from here you can make other selections and even customize background and font colors. 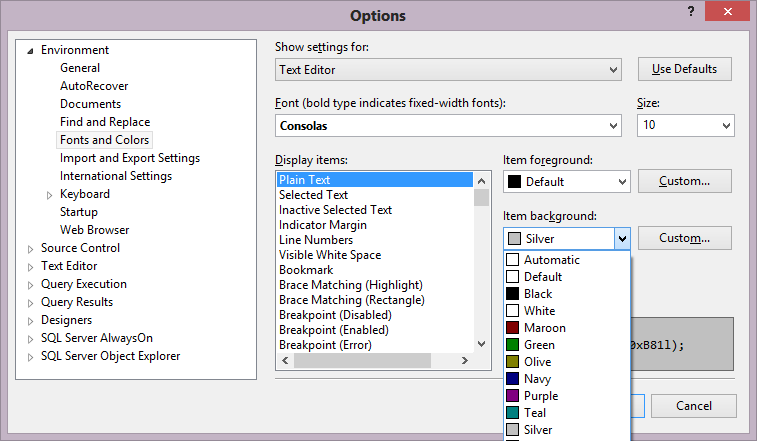 or on the same drop-down menu for the item background you can select “Default”.